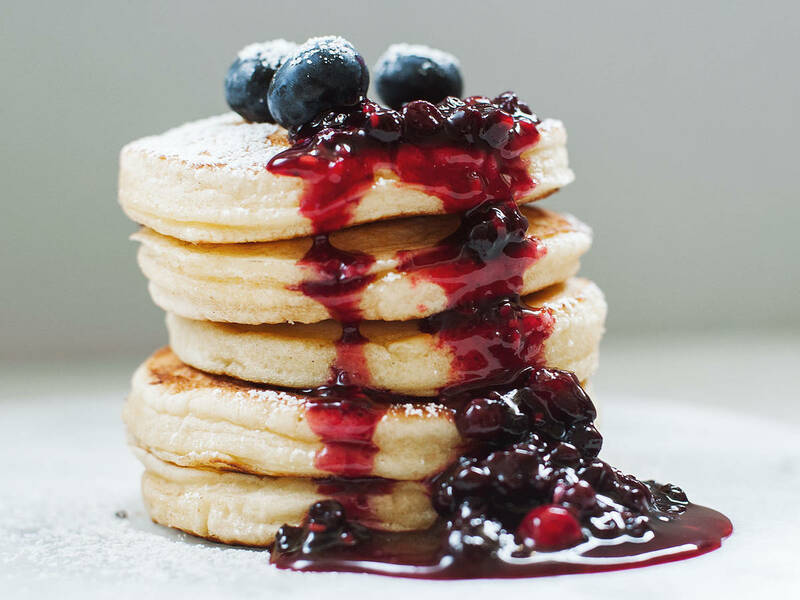 Is there a better way to start a Sunday morning than with a pile of fluffy buttermilk pancakes drenched in sweet sticky maple syrup? I highly doubt it. These highly delicious (and addictive) Swedish style pancakes will satisfy even the most demanding sweet tooth. Take your breakfast game to the next level with these delish apple pancakes covered in raisins and caramelized walnuts. Pancakes are so versatile: play around with ingredients and fillings. Also, make sure to prepare them right before serving!